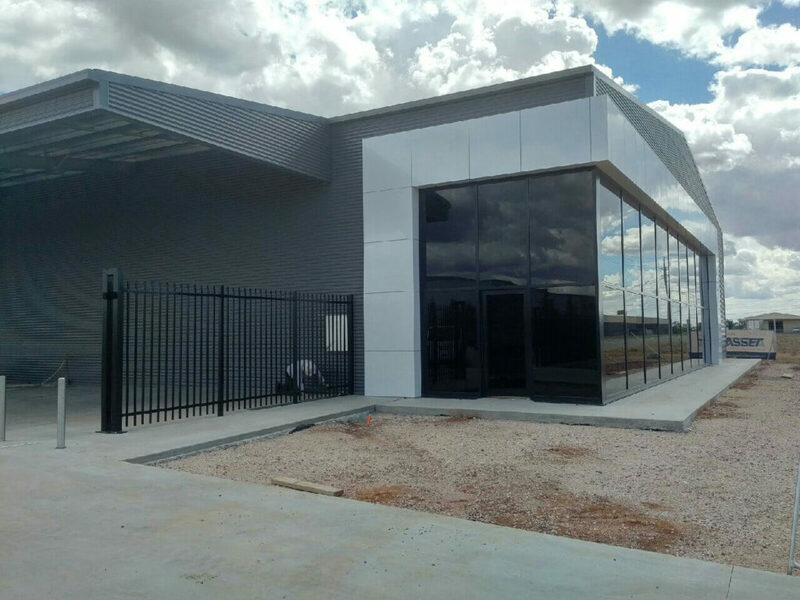 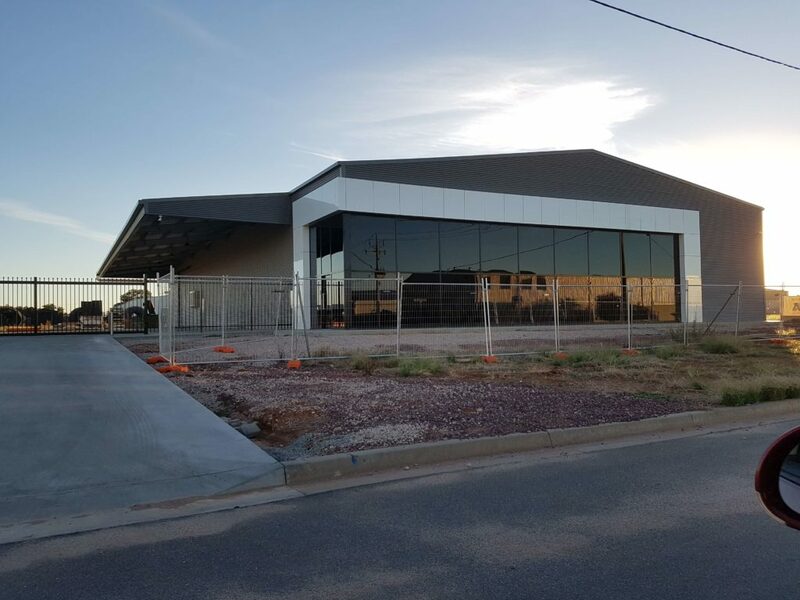 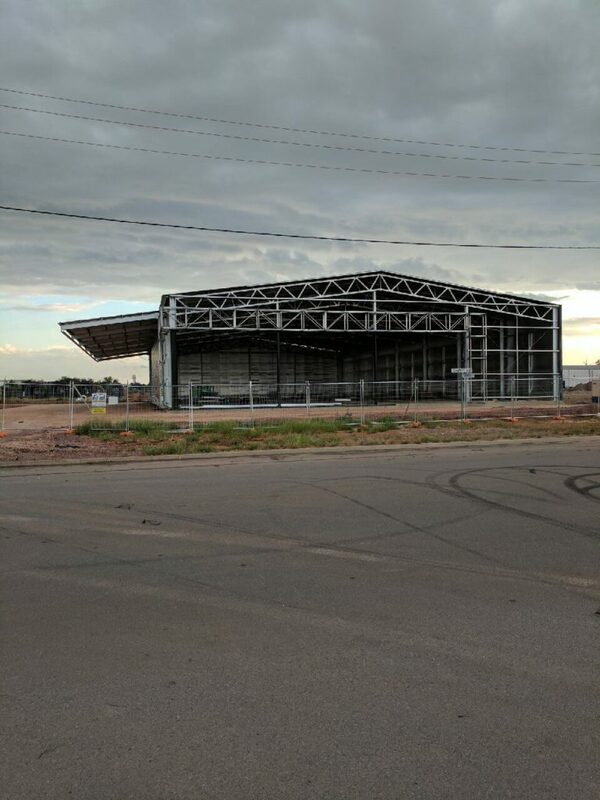 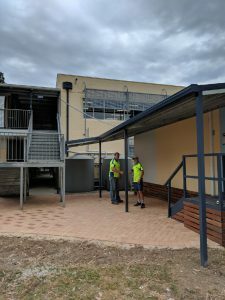 If passers-by are wondering what that fancy new structure is in Leeton’s industrial estate, that’s a new warehouse & offices building for one of Australia’s best wholesalers of food hygiene & safety products (www.foodcaresystems.com.au). 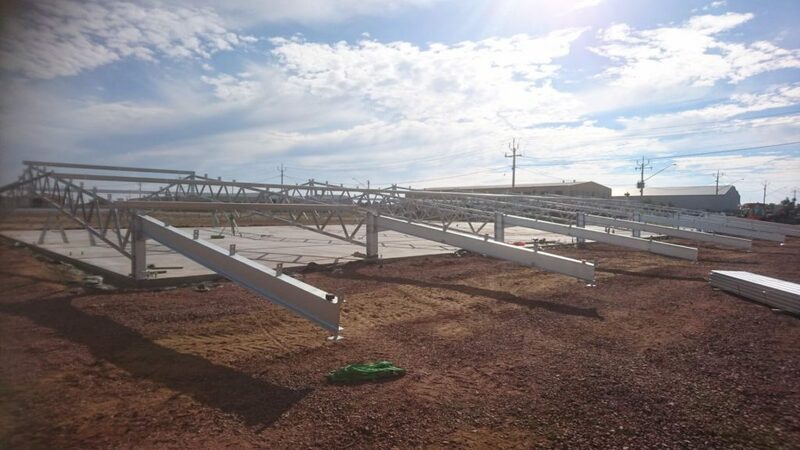 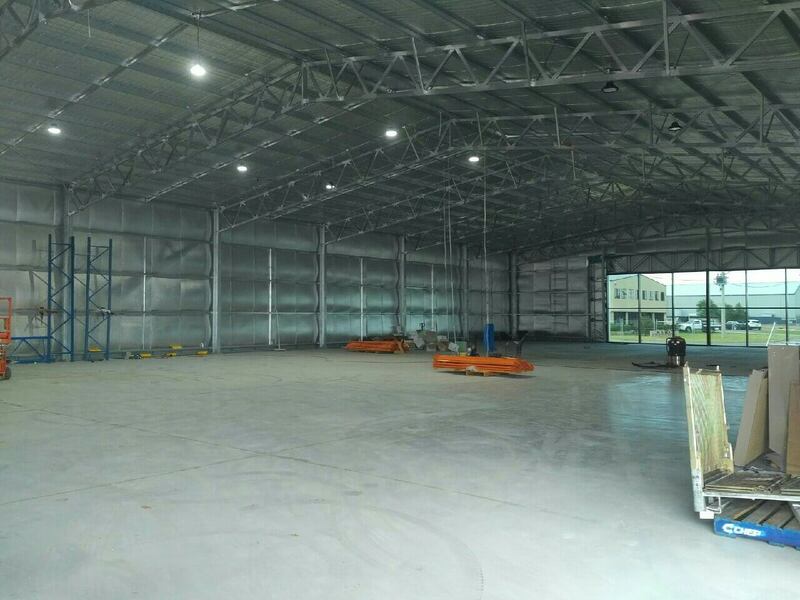 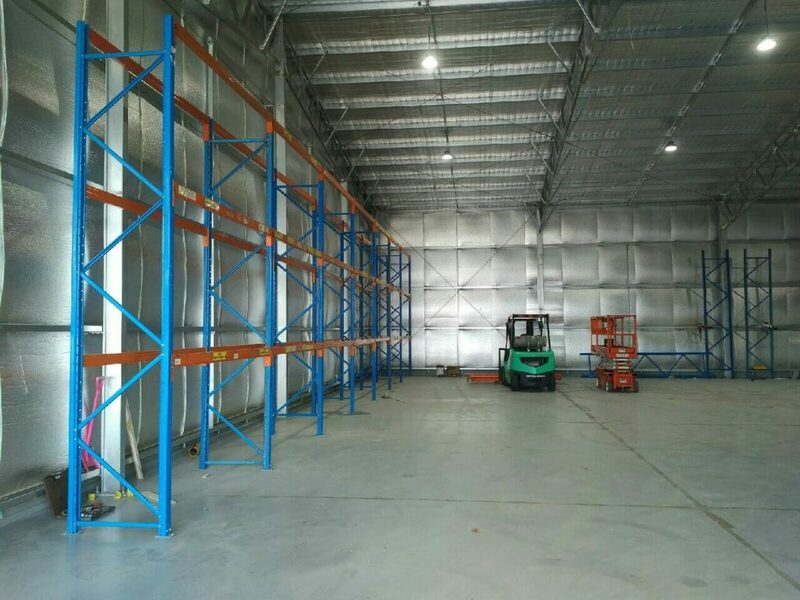 This is a large Industrial Shed built in Leeton, NSW, for warehouse storage use. 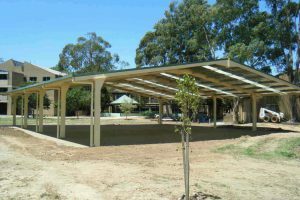 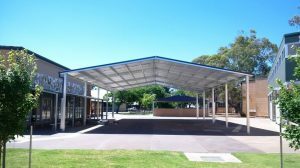 Built with UB Columns & Web Truss rafters, the shed was designed strong enough to carry a cantilever industrial awning off the side of the shed, eliminating the need for posts. 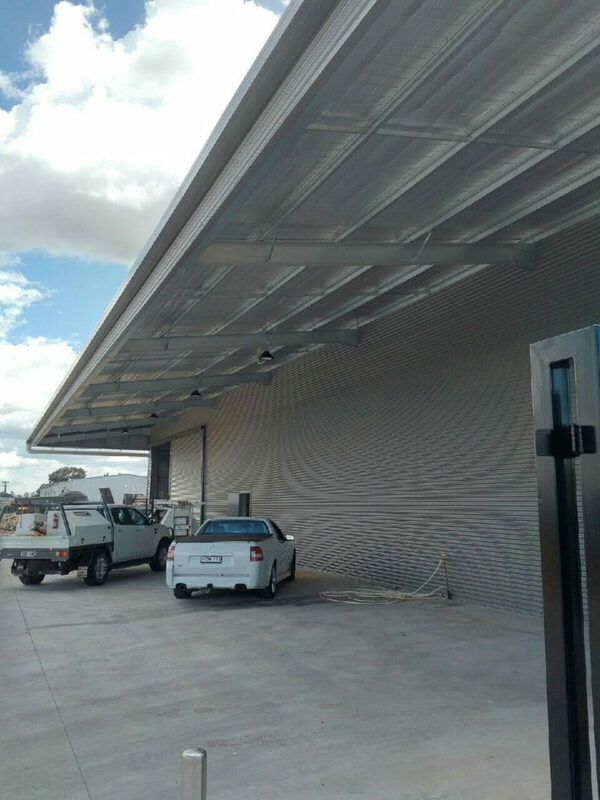 This facilitates vehicle movement while still providing cover on the side of the building. 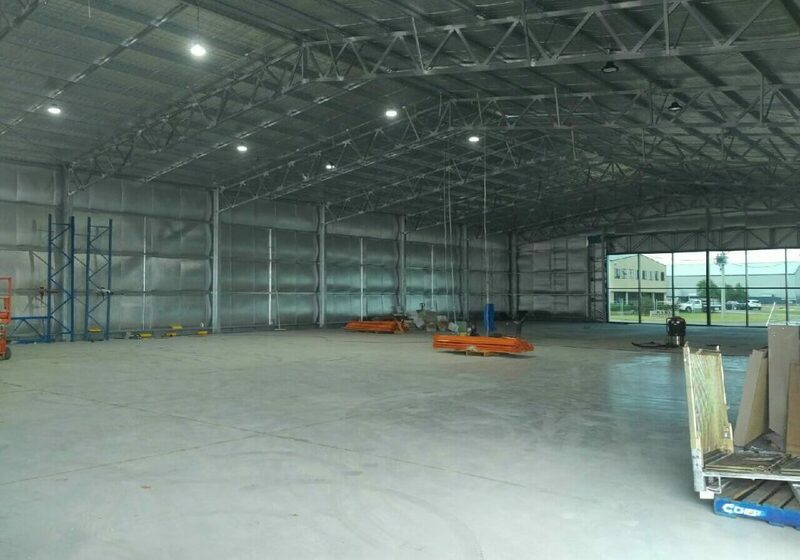 It is also insulated inside, providing heat protection for the goods inside the warehouse building. 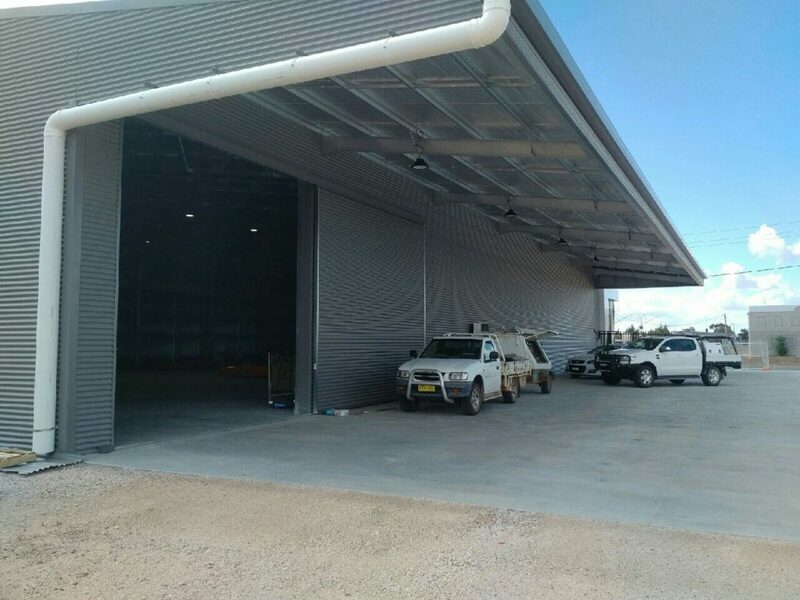 The façade on the front was organized by Foodcare, providing an excellent finishing touch to the Shed. 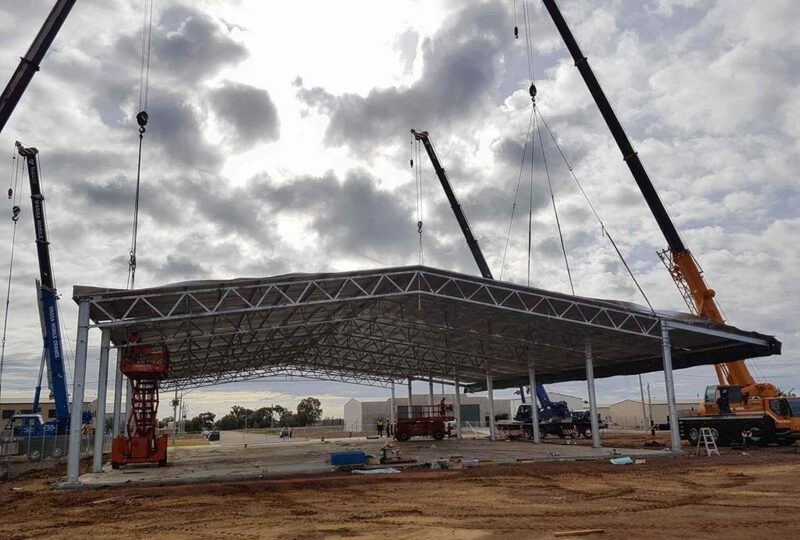 The cantilever awning on the shed provided an extra challenge but the Asset team rose to the occasion and performed a 4-crane shed lift successfully, then proceeded to complete the Shed structure, ready for any industrial factory/warehousing use.